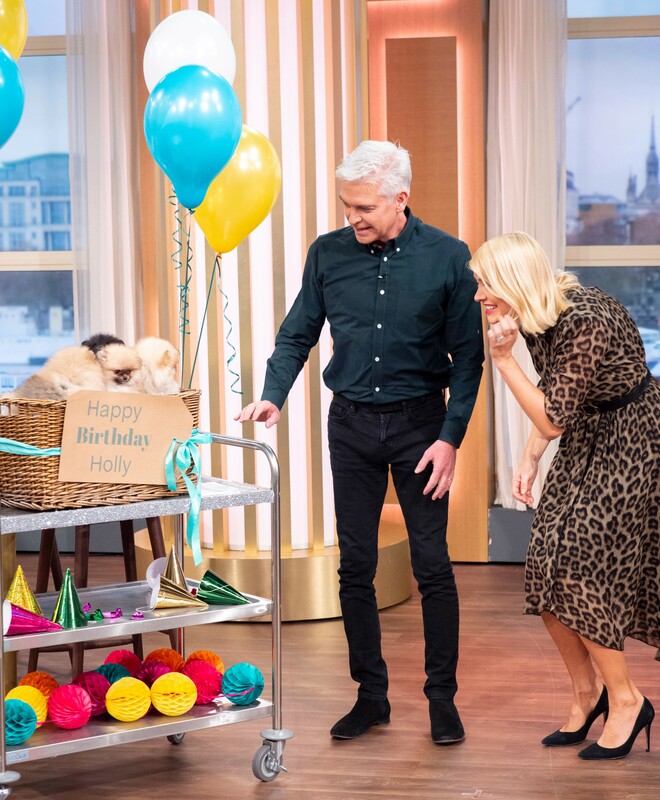 With it being Holly’s birthday this weekend, Phillip decided to present his co-host with a very special early birthday gift on today’s This Morning. Much to Holly’s delight and surprise, Phillip’s gift was a basket of Pomeranian puppies and they are so cute! Phillip said to Holly, “This is my present to you!” while the puppies were being wheeled into the studio. Holly burst into tears, so it is safe to say she was pleased with her gift. Well done Phillip, hats off to you! 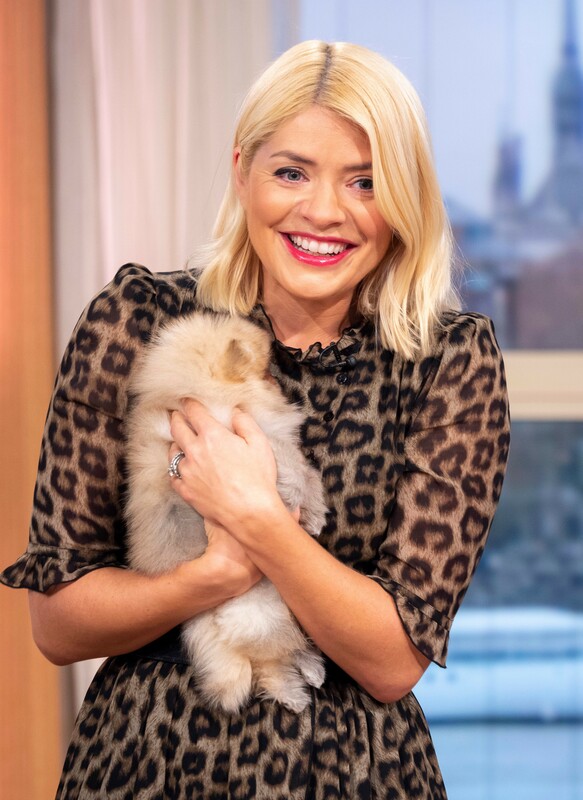 The adorable puppies were only eight weeks old and Holly decided to call one of them Bertie. How sweet! The morning presenter will be turning 38 on Sunday. We’re not sure how anybody could top Phillip’s gift! Pomeranians, which are affectionately known as ‘poms’, are renowned for their fluffy coats. Holly will be presenting Dancing on Ice with Phillip on her birthday this Sunday, but we are sure she will manage to squeeze in some celebrations too!